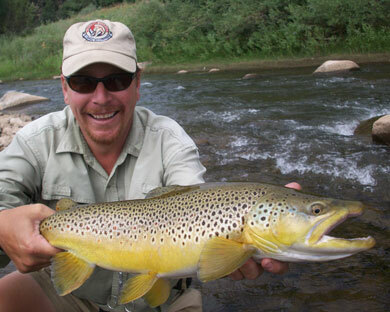 Fish for monster Rainbow Trout, Browns and Cutbows year round on the world famous San Juan River! 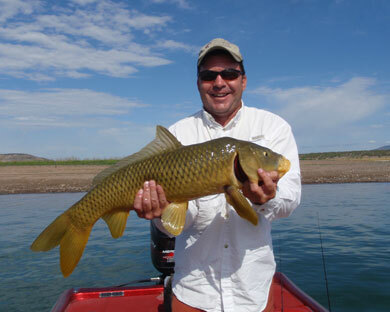 Guaranteed action with Smallmouth & Largemouth Bass, Crappie, Carp and more on Navajo Lake! 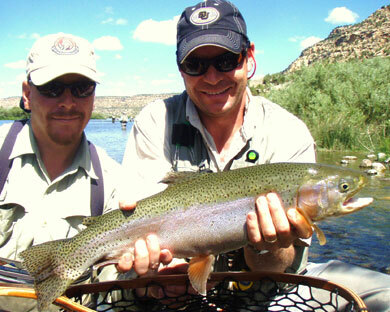 We fish the world famous San Juan River and the hidden gem, Navajo Lake with amazing success rates. 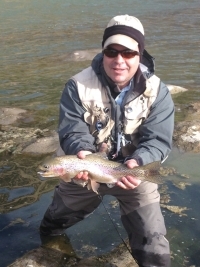 The San Juan River is flowing at 350 cfs, clearing, and giving up some big trout! 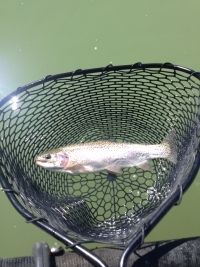 This week, at least in my boat, red larvae and red annelids fished under big pink pompoms at about 4 ½ feet with a size BB split shot was the ticket. Many other guides are still having great success on leeches and woolly buggers, especially smaller sized ones with lots of flash. 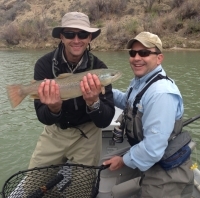 "...I have had my share of guides on the San Juan River over the past five years, but none compare to Steve Gill at Resolution Guide Service. Not only was he extremely patient with a first time fisherman I brought along, but he showed us spots I never knew existed..."